If you are feeling tired and stressed, now is the time to take a break from your everyday life. Escape the city’s madness and experience one of the best weekend getaways from New Orleans! Jackson, MS, is a top destination when it comes to touring the deep South, and it’s less than three hours away from The Big Easy. Explore the city, visit the Mississippi Civil Rights Museum, hike in the Petrified Forest, and eat the most delicious pastries! Don’t delay; discover one of the best weekend getaways from New Orleans and start planning your trip to the Historic Fairview Inn today. Discover more ideas for the best weekend getaways from New Orleans and download our free Vacation Guide! 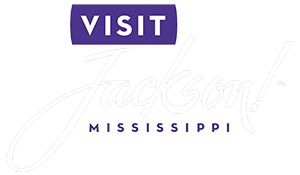 You’ll receive recommendations for gourmet restaurants in Jackson, MS, fun museums, quaint shops, and so much more. If you wish to spend a weekend getaway from New Orleans in Jackson, MS, the Historic Fairview Inn is the perfect place for you! Take advantage of our special Weekend Getaway Package and experience the rich heritage of the city right in your room. Built in 1908, the Historic Fairview Inn is one of the only post-colonial houses of the era remaining in Jackson. 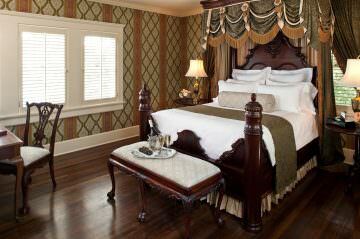 Our elegant inn is anchored in Southern tradition and takes you back to the glamour of the Old South. We offer a selection of luxurious suites and stunning amenities for guests to enjoy. The Historic Fairview Inn is also perfect for a romantic weekend getaway! Our private spa is considered one of the best in the area and offers healing massages and soothing treatments, all performed by licensed therapists. Once you’ve relaxed with a luxurious body treatment, head to our Library Lounge and enjoy a signature cocktail. You can sip on an old-fashioned while surrounded by the works of famous Southern authors like William Faulkner, Tennessee Williams, and Eudora Welty. Don’t go back to your room right away! Stop at our restaurant, 1908 Provisions, and enjoy a romantic evening with delicious entrees. Chef Corey Ellison serves up delicious Southern fare with a few modern twists. Try seasonal dishes like the stuffed pork tenderloin, Simon’s 1908 burger, and, our favorite, the redfish almondine! Now that you know some of the best things to do in Jackson, MS, it’s time to start planning your weekend getaway from New Orleans! Book our Executive Suite and treat yourself to a one-of-a-kind experience! You’ll travel back in time with the charming 19th-century decor, including a stunning mahogany bed and a spacious living room area. Take a hot shower in your private bathroom and put on one of the complimentary robes. Get a good night’s rest and sleep away all of your stress. In the morning, wake up feeling refreshed and enjoy a delicious homemade breakfast. Book your stay today and have the best weekend at the Historic Fairview Inn!